General Liability | Rehoboth Beach, DE | Wilmington, DE | Williams Insurance Agency, Inc. Whether you are a landscaper, contractor, store owner, restaurant operator, or owner of any type of small business, it is critically important to maintain adequate insurance coverage to guard yourself and your business against potential claims for medical expenses, attorney fees, injuries, and damage that your company may be held legally responsible to cover on a financial basis. Stand-alone coverage is available to meet essential business liability coverage needs. However, most of our clients who operate businesses of all sizes choose to purchase a combination Business Owners Policy (BOP). Contact us to learn how we can offer you extended protection and financial savings for your business with a BOP by combining your general liability insurance with one of our essential property insurance packages. All businesses, regardless of size, must secure an appropriate level of general liability insurance to guard against accidents, lawsuits, and other potentially devastating incidents that may occur and destroy your ability to maintain your livelihood. Even if you operate as a single independent contractor, you must guard your interests. We offer a range of affordable options for you to choose from. One accident or unanticipated peril could easily result in a lawsuit that could prove to be financially devastating. 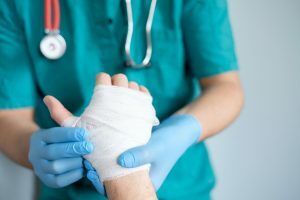 Some of the options available to help safeguard your business against liability claims include coverage for injuries and damage resulting from your business operations, as well as products and services provided by your company. The Williams Insurance Agency, Inc. team is available to discuss the general liability needs of your business. We have over 70 years of experience providing the information that Delmarva business owners need to make the best decisions regarding insurance coverage options. Contact our office in Rehoboth Beach, Delaware, at 302-227-2501 or in Wilmington, Delaware, at 302-239-5500.